This exciting 9-day tour takes you through the amazing wilderness of Sukla Phanta Wildlife Reserve, Bardia National Park and the Karnali River area. Marvel at Nepal's rich wildlife, go rafting down the river, discover the region's culture and enjoy elephant safaris as well. 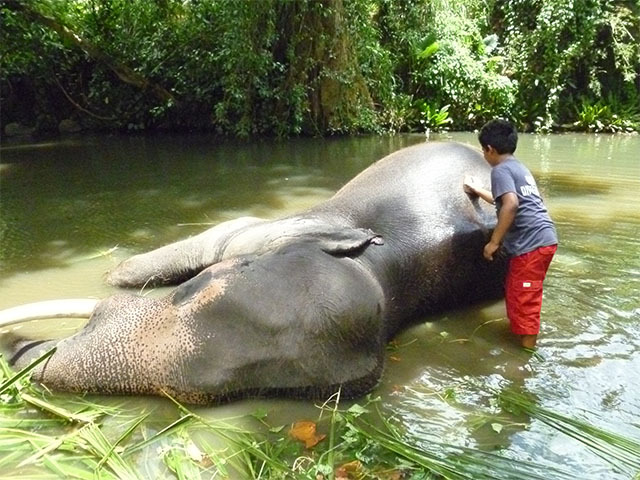 Help out with bathing Elephants! You will be met by our representative on arrival at Kathmandu airport, who will help you get to your hotel. Be sure to get a good night’s rest, as tomorrow we embark on an exciting journey into the wilderness of Nepal! After breakfast we catch a flight from Kathmandu airport to Dhangadi, a western lowland town. From Dhangadi we drive to Royal Sukla Phanta Wildlife Reserve, aiming to reach in time for lunch. The next two nights will be spent here. After lunch, we venture into the reserve, on our first game drive of the tour. Located in the extreme southwestern belt of the Terai, Royal Sukla Phanta Wildlife Reserve, although small in area, is an amazing place for game viewing and jungle safaris. The reserve is home to a large number of Swamp Deer, the Royal Bengal Tiger, Asian Wild Elephant, Greater One-horned Rhinoceros, Sambar Deer, Spotted Deer, Hog Deer, Barking Deer, Common Langur and Wild Boar. The vegetation of Sukla Phanta is a combination of Sal forests, savannah type grasslands, marshlands and deciduous riverine forests. The bird population in the reserve includes the Bengal Florican, Great Slaty Woodpecker, White-naped Woodpecker, Jerdon’s Babbler, Finn’s Weaver, Swamp Francolin, Sarus Crane and Great Pied Hornbill. We return to our camp at dusk and end the day with a hearty meal! 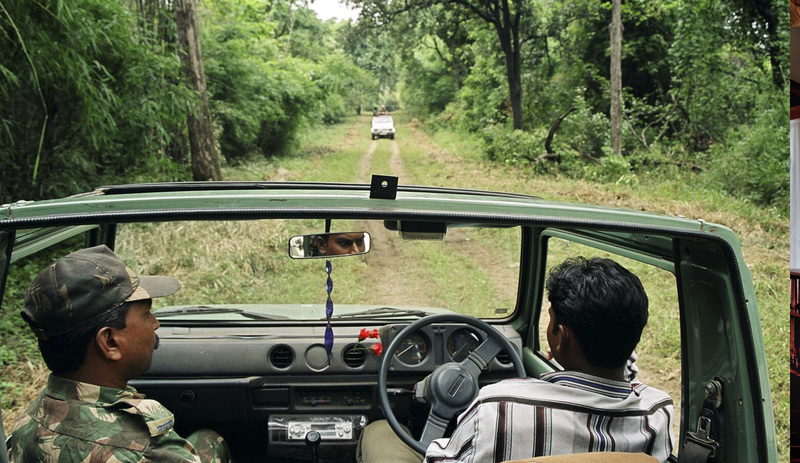 Early in the morning, we will drive deep into the jungles of the reserve in search of wildlife. With the help of a four-wheel drive vehicle and a guided walk, we can explore various sections of the reserve, especially the far flung areas. This increases your chances of sighting the Tiger, Elephant, Rhinoceros, Deer, Langur or Wild Boar! We come back to our camp for breakfast and to relax. After lunch, we continue our exploration of Sukla Phanta. We will return to the camp at dusk and end the day with dinner. On the fourth day, after breakfast we drive to Karnaili Lodge, located near Bardia National Park. We will be spending the next two nights here. Most of the afternoon including lunch time may be spent relaxing at the lodge. Bardia National Park has the second highest density of Royal Bengal Tigers in Nepal after Chitwan National Park. It is also home to 19 of Nepal’s 39 legally protected species. These include the endangered One-horned Rhinoceros, Asian Elephant, Swamp Deer, Jungle Cat, Spotted Deer, Barking Deer, Blue Bull, Common Leopard, Sloth Bear, Wild Boar, Mongoose, Common Langur, Rhesus Macaque, Gangetic Dolphin and Gharial Crocodile. The park provides shelter to about 255 species of birds, including the threatened Bengal Florican, Lesser Florican, Lesser Adjutant and Sarus Crane. Later, in the afternoon we take an Elephant ride into the National Park (2 hours) in search of wildlife. We return to the lodge at dusk. An interesting slide show will be arranged for us in the evening by an experienced naturalist. We will get to know more about the landscape, vegetation and wildlife of Bardia. We will also get to know what to look out for in the park! We start our day with an early morning nature walk in the forest. Later, at about twelve, we head out to meet the Elephants. Not only will we get to learn about these amazing animals, but will get to help their keepers out with bathing them (about an hour) as well! We return to the lodge for lunch and go for a jeep safari inside the park later in the afternoon. Our exploration of Bardia ends at dusk and we round off our day with dinner. Today we hit the East-West highway once more and drive to Karnali bridge at Chisapani. We then travel down the Karnali (or Ghaghara) river. If we are lucky, we might spot Gangetic Dolphins here! Our drift down Karnali River stops at Karnali tented camp. We will stay at this camp for the next two nights. After lunch, we soak in the local culture with a short tour of a village inhabited by the local Tharus tribe. We end our day with dinner at the campsite. We start the day with an early morning Elephant Safari into the park (2 hours) and return to the campsite for breakfast. The rest of the day may be spent at leisure. You have a number of optional activities to choose from, such as jeep safaris or fishing. The day ends with dinner at the camp. After breakfast we drive to Nepalgunj, which is located on the Indo-Nepal border. From here we board our flight to Kathmandu. 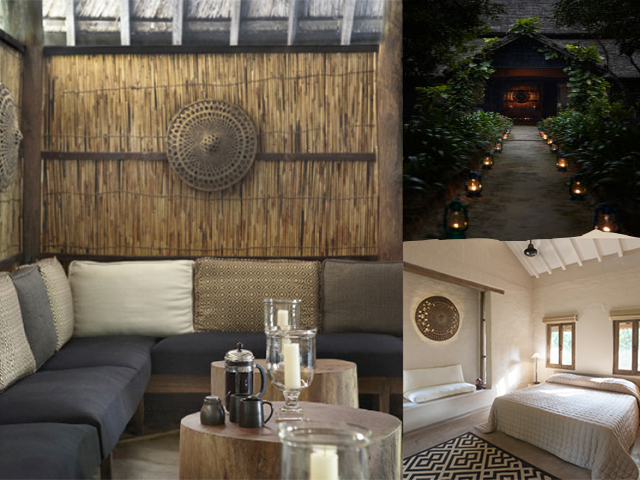 The rest of the day can be spent relaxing or exploring Nepal’s capital. 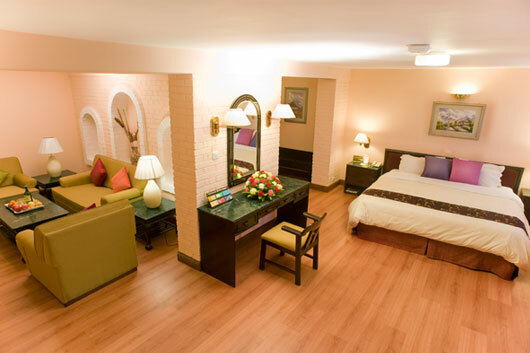 The last day of the 9-day Nepal wildlife tour can be spent relaxing at the hotel. You will be driven to the airport to board your flight back home.